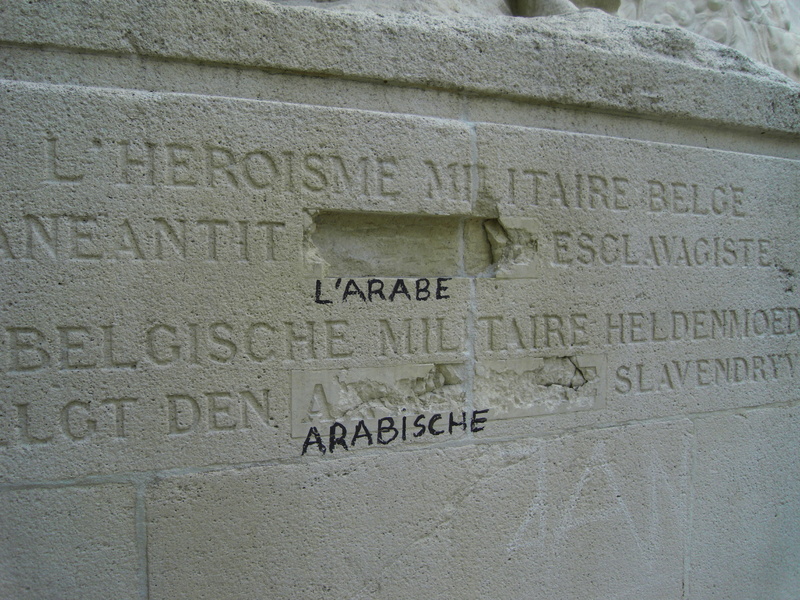 A loose attempt to draw attention to the removal of the words Arabische / Arab from the monument for the fallen Congo soldiers. 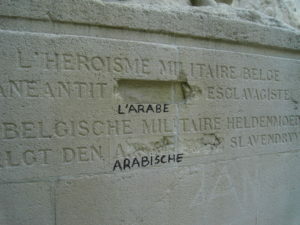 This time the re-insertion is carried out with a black marker. An extremely effective tool seen the high contrast with the white stone of the freshly sanded down monument. A cleaning action which by the way abrased lots of detail from the statue. 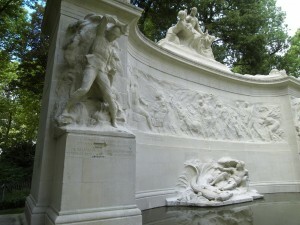 The soft stone is not hard enough to resist this treatment which has caused the loss of sharp details from the statue. Some of the texts are barely readable.